We have been learning to develop our core control by building skills in coordination, directionality and balance using the swiss balls. It has been so much fun! For our SPEC module we experienced tasting a variety of Kiwiana foods. Look at us building the skills to prepare, serve and use appropriate utensils for food preparation. Here we are doing the haka; creating movements with the pois; showcasing our Te Reo vowels a,e,i,o,u; and excitedly enjoying the parachute above us over the two days of the festival. Hearty thanks to all our peers, friends and whanau for coming along to join in and interACT with us during our performance. We hope everyone enjoyed participating with us as much as we did! We have been busy chefs making various cultural foods this term to celebrate the different cultural backgrounds of everyone in our Tamaki 5 whanau. Look at us peeling, chopping, grating, and stirring. We even practiced using chopsticks to eat dumplings during the Chinese New Year week. What a yummy term it has been! 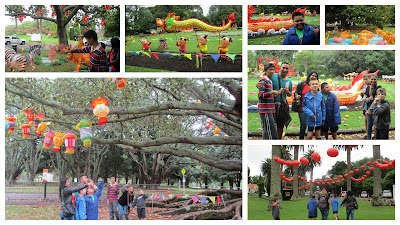 This term we visited the Auckland Domain during the Chinese Lantern Festival to see all the beautiful coloured lanterns. It was a fun day! Learning to putt at SNAG Golf. Not bad for our first time! 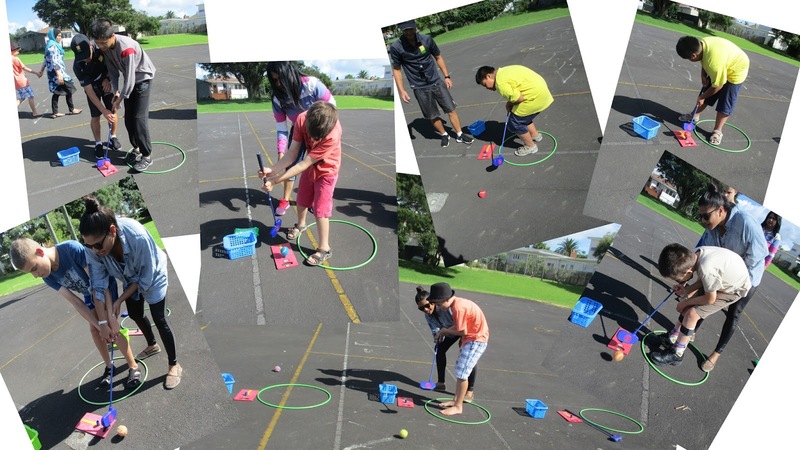 Look at us - we learnt how to putt a ball using a golf club. Great display of focus, hand-eye coordination, bilateral skills and perseverence. We made Valentines Day cards for our loved one who we "hold" dear to our hearts.